We hosted in Ning the first 7 weeks of this workshop and installed the Skysa Bar with chat and IM to network with the participants. It was designed thinking about teachers, the everyday-classroom-teacher-with-kids, not the university-theory-researcher-professor. 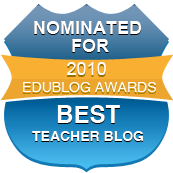 Is a course for the edubloggers without a blog yet (because they dont dear to write one, they dont think they have something to say or dont know to whom they might be speaking). Mostly, they don´t have a blog because they are not ICT teachers, and they don´t have the time or motive. After working for some years trying to make teachers use ICT on class, we thought: and if we think of teachers as learners? Simple idea, isn´t it? During Weeks 1 and 2, participants only used the Ning Forum to discuss, learn and network.